Reading is not an easy thing. 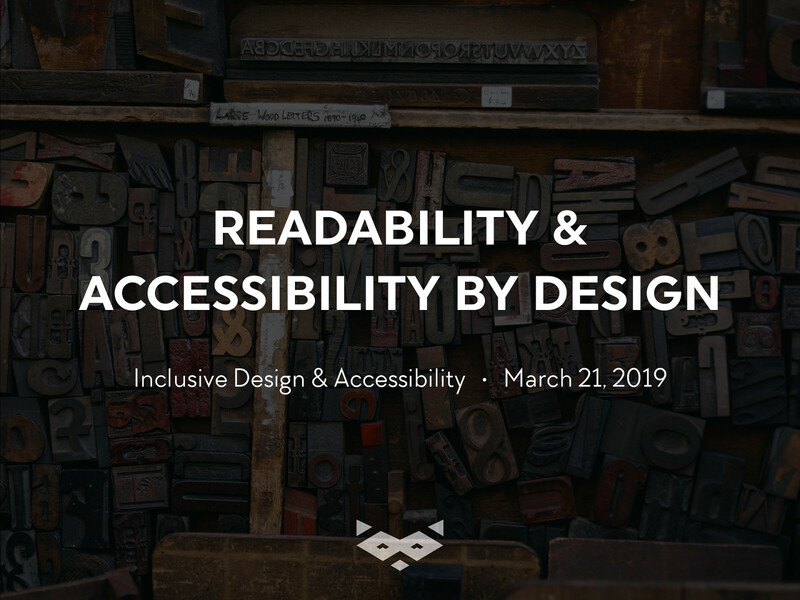 Inclusive Design & Accessibility meetup • March 2019 • @iamhiwelo Reading is complex. It requires our brains to connect letters to sounds, put those sounds in the right order, and pull the words together into sentences and paragraphs we can read and comprehend. Let’s focus on dyslexia. Inclusive Design & Accessibility meetup • March 2019 • @iamhiwelo People with dyslexia have trouble matching the letters they see on the page with the sounds those letters and combinations of letters make. And when they have trouble with that step, all the other steps are harder. Dyslexia, ASD & ADHD is a lifelong impairment. Inclusive Design & Accessibility meetup • March 2019 • @iamhiwelo Dyslexia can’t be “cured” – it is lifelong. But with the right supports, dyslexic individuals can become highly successful students and adults. Dyslexia, ASD & ADHD are strongly linked together and more common than expected. Inclusive Design & Accessibility meetup • March 2019 • @iamhiwelo Dyslexia is also very common, affecting 20 percent of the population and representing 80–90 percent of all those with learning disabilities. Scientific research shows differences in brain connectivity between dyslexic and typical reading children, providing a neurological basis for why reading fluently is a struggle for those with dyslexia. About 50 to 60 percent of people with ADHD also have a learning disability. The most common of these is dyslexia, a language-based learning disability that affects reading. Eight to 17 percent of the population is affected by dyslexia, and it is vastly misunderstood. The reading experience depends a lot of the context & environment Inclusive Design & Accessibility meetup • March 2019 • @iamhiwelo It’s shaped by our surroundings (am I in a loud coffee shop or otherwise distracted? ), our availability (am I busy with something else? ), our needs (am I skimming for something specific? ), and more. Reading is not only informed by what’s going on with us at that moment, but also governed by how our eyes and brains work to process information. As our eyes move across the text, our minds gobble up the type’s texture—the sum of the positive and negative spaces inside and around letters and words. We don’t linger on those spaces and details; instead, our brains do the heavy lifting of parsing the text and assembling a mental picture of what we’re reading. Our eyes see the type and our brains see Don Quixote chasing a windmill. Consistency: keeping the same wording along the way Baggage always, not luggage, or baggage hall don’t start to be baggage claim. Hey buddy! You looks friendly but… no thank you! And please… let your users the time they need to read. How to experiment with your projects? And remember, we always need more whitespace! Except the contrast (😅), this is readable and distraction-limited. A good grid and a good hierarchy is everything. View Readability & Accessibility by design on Notist. Reading is not an easy thing. It is complicated for people with reading or cognitive impairments but also for everybody depending of the context. Luckily for our all our users, there is a lot of small improvements and tips every designer, content-writer and developer can do in a project to improve the life all our users. Another @idea11y meetup, graciously hosted by @levellevel. Two great speakers, @iamhiwelo and @erikkroes. On my way home 🚂. It was a fun evening! I had a great time, thanks all! It was a great talk! @iamhiwelo really enjoyed your talk tonight. Had a great evening speaking at @idea11y next to @erikkroes. Content & Contrast, great mix of talks by @detonite 👍 🙇🏻‍♂️.